Rated 5 out of 5 by slroberts from Best of mosaic type games I thoroughly enjoyed this game. You play through once, then go back and try to complete everything with 3 stars. I definitely got my monies worth from this game. Rated 5 out of 5 by Misty_Blue from Lots of fun and just the right amount of challenge I usually never write reviews but I had to on this game since it received several negative reviews based on the black on black. I played for about 20 minutes after it was released but found the black on black drove me nuts. The developers listened to what reviewer's were saying and changed the color of the unused squares. It is now the same color as the rest of the squares with a small black circle to mark them. When the puzzle is completed all those squares turn to black. The finished puzzle looks great that way. I'm glad I hadn't deleted it after those 20 minutes. I installed the update and tried again. I'm sure glad I did as it was a definite buy. So far all the regular puzzles have been 4-5 color with most being 5 color. The bonus puzzles you have to unlock has been 6 color so far. I'm currently on level 8.2 so can't say how many colors the rest of the puzzles will be. I have most of the Fantasy Mosaic games but find this one to be much better than the last few of the Fantasy releases. A lot of the challenge is gone in the Penguin games and their latest seemed to have some poorly laid out and oversimplified pictures. Rated 5 out of 5 by dia317 from challenging! I normally buy all of the Fantasy Mosaics but they have started to loose the challenge. This new Travel Mosaic really makes you work and it's tons of fun. I like the story line too. I learned a lot about Paris. Hope they make more! Rated 5 out of 5 by pmmonteith from Hoping for more of this type I have purchased this game for the following reasons; Excellent challenge of using logic and counting only. The dark background squares are perfect as they remain background and not large X's on the puzzle. I appreciate having to decide which squares are not part of the puzzle instead of the game filling in for me. The end results are beautifully colored with different shading. I do not play with the sound on so no review on that. I am looking forward to another puzzle at this skill level. Thank you Jet Dog Studios, keep up the good work! One tip, in the instructions, perhaps change 'guess' to 'count' as I have not had to guess once. Rated 5 out of 5 by renatetoo from I gave this a great review before... ...and now that I've played for awhile, I can definitively say that this is one of the very best of its kind. If you're a real fan of this type of game -- as I am -- and not just passing through, you will love it. It's a bit different, which is good in general, and the differences are all welcome. I highly recommend getting past the trial hour and purchasing this great game. Rated 5 out of 5 by kristidumplin from It has a story AND a reason to care about whether or not you get those 3 stars! I love mosaics, nongrams, griddlers - whatever you choose to call them, but, they are all pretty much the same. This one is a bit different. There IS a reason to try to get 3 stars on each level you play, or, at least 2. There is a bonus puzzle at the end of each level that can only be unlocked if you have gathered at least 2 stars on each level. 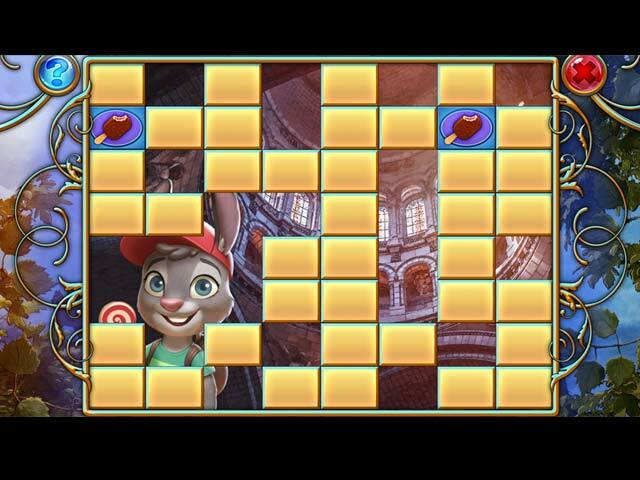 There is also another puzzle after the bonus puzzle on each level that requires you to complete the bonus puzzle with at least 2 stars in order to unlock it. You don't find that sort of thing in most mosaic games. You earn money that allows you to purchase bonus upgrades so you have more goodies to help you get those stars and the money can also be used to buy goodies for the family who is taking the "tour". So - there is a reason to make the money, too. The boards are large and the tiles are quite colorful, making a pretty puzzle at the end. The ONLY thing I do NOT like - the board itself is rather dark and the little dots that appear in empty tiles can be tough to see, so, pay attention to the board when you play. I have to sit a wee bit closer to my laptop to make sure I'm seeing the board correctly. That is the only thing I don't like about the game. If you like mosaics, give this game a try! Rated 5 out of 5 by CyndiLouWho2 from Give your eyes time to adjust I wasn't even going to trial this game because of all the negativity expressed in the reviews. But I went against the majority and am so happy that I did. It took solving only 3 or 4 grids until my eyes adjusted to the black on black crossed off squares; and then I had no issues as far as that aspect was concerned. It's just a different way of presenting the grids and really not such a big deal. The colors are bright and fun and the game IS logical. As with most mosaic grid games, except for Gizmos, there really is no story so that's not a surprise. My only complaint is that you're penalized for using hints/power-ups which keeps you from achieving a perfect 3-star score for those levels. So I simply don't use them. And while I'm also not crazy about the cartoon-ish icons and graphics and that the mom in the family is not appropriately dressed, those two things aren't enough to distract me from enjoying the game. 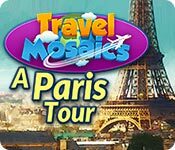 Rated 5 out of 5 by MrsBen from TRAVEL MOSAICS: A PARIS TOUR not as refined, but a great little game!! I like this game! 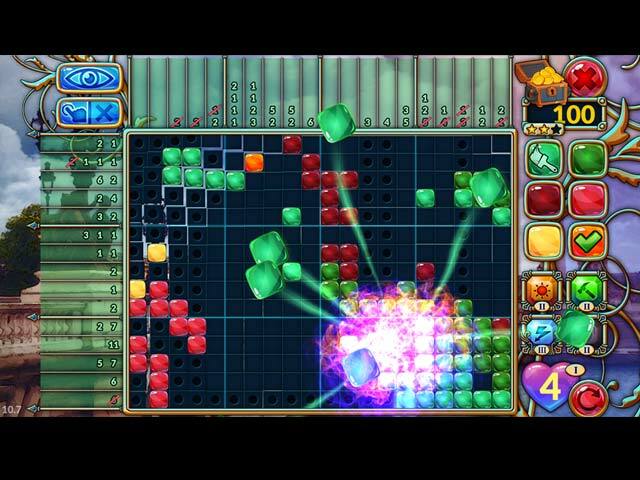 It IS a logic driven game, the colors are bright and shiny and the pictures are cute. Haven't checked for a storyline, yet, but I bought the game and I'm ready to play it again. As I said, it's not as refined as some others, but the game response is great and it is a fun game to play. See what you think!! 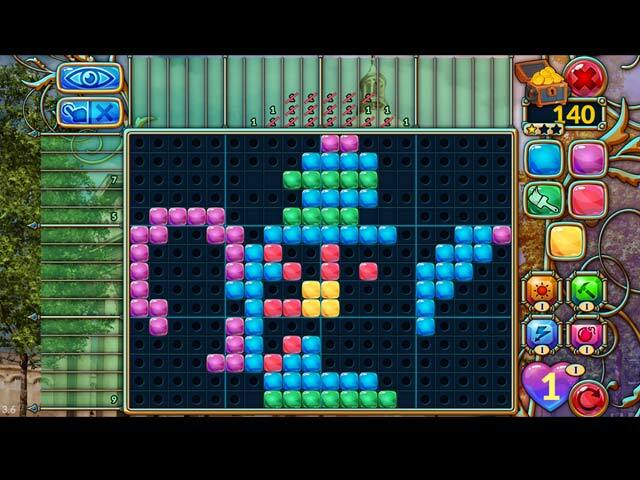 Rated 4 out of 5 by lininindy from CUTE CANDY COLORS I play mosaics ALL the time, They give me focus during hectic days. Be prepared to make some mistakes and take hints on this game. It took a while to get used to the black backdrop. I'm still on the fence with that. I bought this game after the hour was up. I liked it that well!